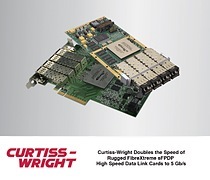 ASHBURN, Va. – November 10, 2016 -- Curtiss-Wright’s Defense Solutions division today announced that it has doubled the throughput of its FibreXtreme family of Serial Front Panel Data Port (sFPDP) high speed serial data link modules from 2.5 Gb/s to 5 Gb/s. 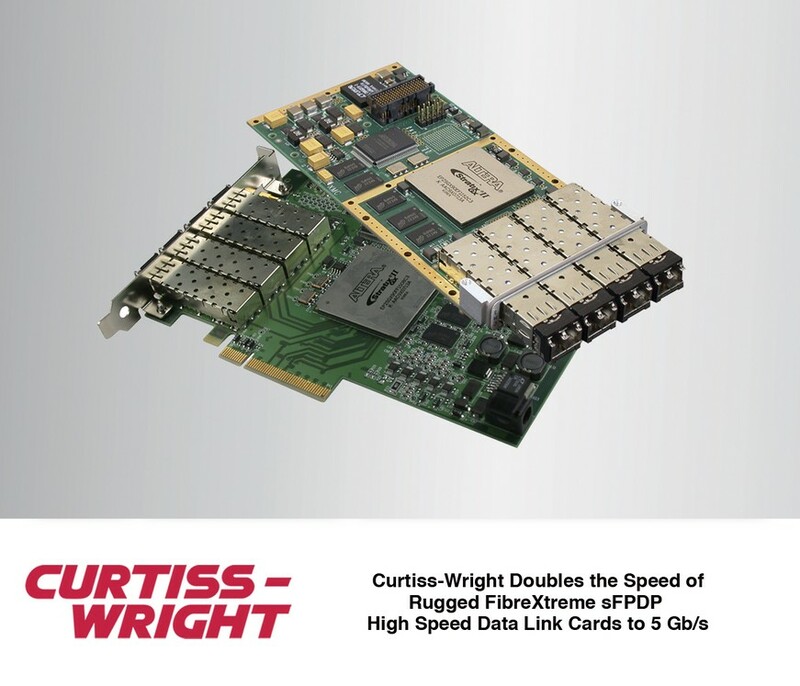 The rugged PCIe and XMC form factor COTS modules now deliver sustained data rates up to 494 MB/s per each of their four channels (988 MB/s bi-directional). sFPDP (ANSI/VITA 17.1-2003) has long been the industry standard data protocol for handling high-speed serial communication in advanced sensor-to-DSP systems. FibreXtreme modules feature an on-board DMA engine that is optimized for maximum data throughput without processor intervention. They eliminate the CPU overhead and the reduced system performance caused by non-deterministic latencies typical of other complex communication protocols. FibreXtreme modules are ideal for transferring large quantities of streaming data in demanding applications such as streaming data recorders, DSP, radar, sonar, range and telemetry systems.